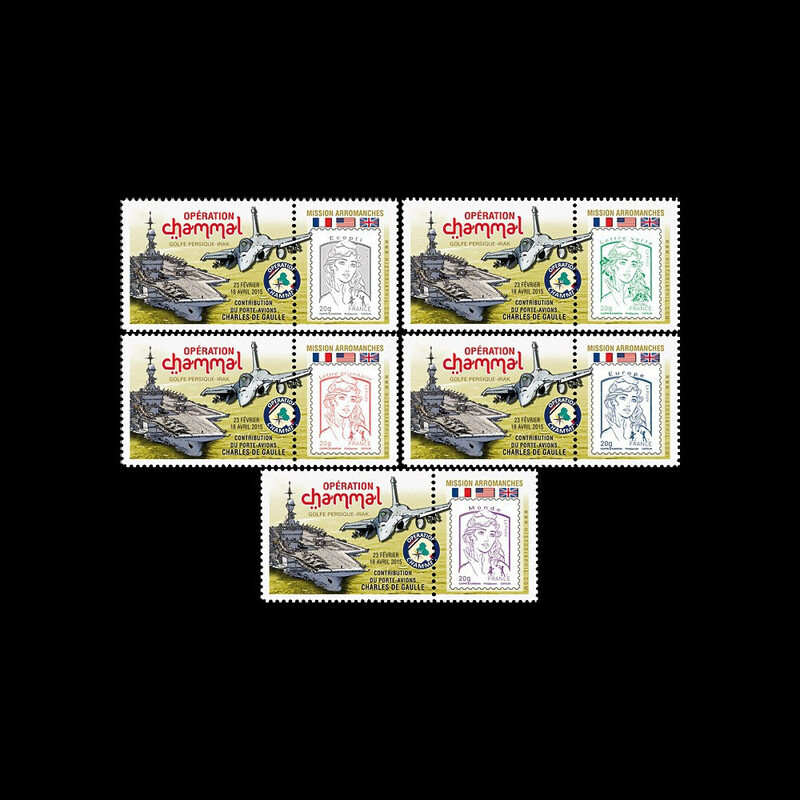 PADG15-1-PT1/5 : 2015 - 5 Marianne "Chammal Operation (Iraq) - AC Charles de Gaulle"
PADG15-1-PT1/5 : FRANCE Set of 5 values "Marianne and Youth, 2015"
- Operation CHAMMAL, 23.02-18.04.2015 : Mission 1 Arromanches (Persian Gulf / Iraq). - 13.01.2015 : Operational deployment of the French Battle Group (GAN) and mobilization of the aircraft carrier CHARLES DE GAULLE. - Participation in the aerial bombing campaign conducted by the international coalition against the Islamic State (IS).